What’s up guys? Did you know that when you’re trying to go buy a home that more than just your down payment? You also have closing costs. So you can kind of think about it, when you go purchase a new car you not only have the total sales price of the car, but you also have title, tags, maybe a dealership delivery. There’s all these other little junk fees, right? So the same kind of deal goes true when you’re purchasing a home. We have closing costs. Now first, a general rule of thumb. Four percent of the sales price or the loan amount, whatever is higher is gonna be your closing costs. Let’s say you’re purchasing your first home for $300K. So 4% of $300K is $12K grand. So I don’t care if you’re doing a VA loan with 100% financing, you still are gonna have closing costs. So it’s important to know when we’re looking at how much money do we need in the process to make this work. Sometimes we can get some of that money covered by the seller. We’re gonna talk about that in the next video. But for right now, the big takeaway is you have closing costs. Now what makes up these closing costs if you’re curious? Well the big bulk of it is taxes. So the state of Maryland has three major taxes. So those three taxes, they add up fast. You also have maybe a loan origination fee for the lender. You’re gonna have other doc prep and other fees for the lender as well. You may have some escrows and stuff to start putting a few months in to help pay for your taxes and insurance for the following year. And then you’re also gonna have fees to the title company. The title company does all the prep work to make sure they can transfer the house to you with no problems and you’re probably gonna get title insurance. So title insurance costs money, the survey costs money, the appraisal costs money, all these things add up. So if we take the fees for the lender, the fees for the title company, the fees to the government, maybe an admin or transaction fee to the real estate agent. All that stuff’s gonna add up to about 4%. 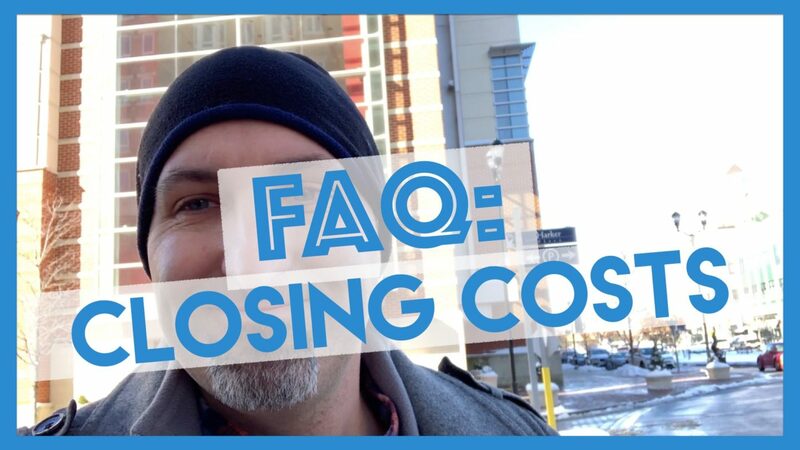 In the next video I’m gonna talk about closing help and how we can try to offset some of these closing costs. I hope it makes sense. If you have any questions, leave a comment below. HOW TO BUY YOUR NEXT HOME – FB LIVE – I will be going over FAQ that I run into every week on people looking to sell their current home and buying there next.